In 2007 the opening of Chambers Fine Art Beijing in a building designed by Ai Weiwei greatly expanded the ability of the gallery to represent the work of influential established artists as well as young emerging talents. The transformation of Caochangdi from a village in the north east of Beijing into a major arts center began when Ai built his own studio/house there in 1999 and subsequently designed many other buildings in the area. Chambers Fine Art is located in the Red Brick Art Galleries and is entered through a courtyard which used for the display of sculpture. The courtyard is enclosed by the symmetrical gallery building which consists of two large galleries to the east and west and a smaller gallery to the rear for video, installations etc. As in New York, the incorporation of open space into the design of the building permits an unusual degree of flexibility in the planning of installations, cultural and social events. 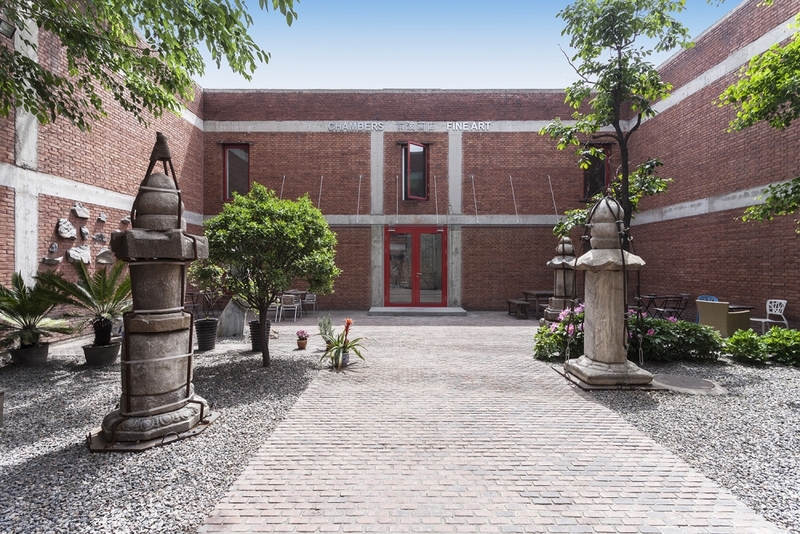 Built as a storage facility and annex to Chambers Fine Art New York, the Artfarm was commissioned from HHF Architects and renowned Chinese artist/architect, Ai Weiwei, in 2006. When Christophe Mao decided to consolidate his archives and holdings of contemporary Chinese art in a stand-alone building on the property he owned in upstate New York, he approached Ai Weiwei whose austere house and studio in Beijing he had long admired. Once he had familiarized himself with the terrain, Ai Weiwei conceived a simple structure that fulfilled all Mao’s needs and budgetary requirements while remaining faithful to his own demanding aesthetic. Having developed a close working relationship with the Basel based architectural firm HHF Architects, Ai Weiwei found a perfect solution to the problem posed by his own lack of formal architectural training. Built on sloping land, three interconnected structures house storage space, offices and a gallery on the lowest level. As described by the architects: “The outer shape is a consequence of the use of a pre-engineered and easy to assemble type of steel building, which often gets used for agricultural purposes in that area. With its abstract metallic appearance the structure becomes an equal member of a whole group of sculptures which are spread out in the landscape.” The severity of the steel structure contrasts not only with the gently rolling landscape but also with the exposed surface of the heavy insulation that is such an unexpected feature of the interior. The effectiveness of the building results from a series of contrasts, between the rustic setting and the minimal form as well as between the rigid light-reflecting exterior and the softly draped interior. In general, the gallery space houses selections from gallery inventory and Mao’s private collection, but beginning in 2009 there have been occasional thematic exhibitions. 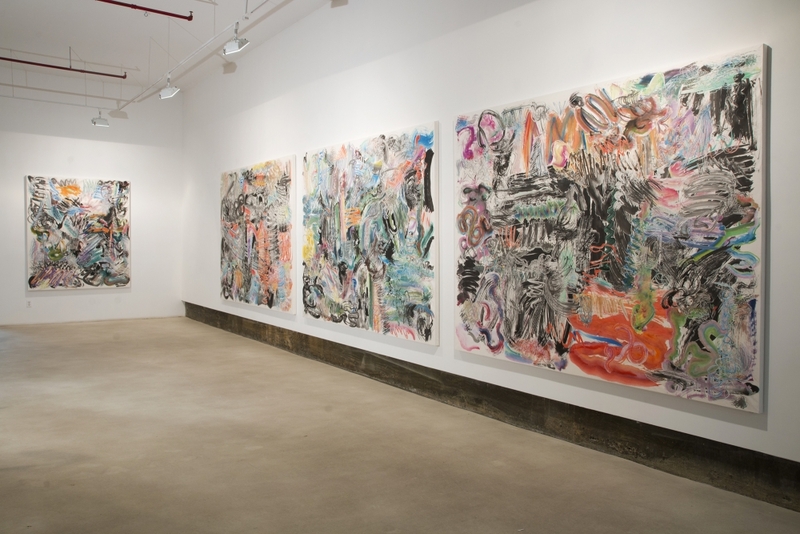 In June 2009, ArtFarm hosted its inaugural exhibition Song Dong & Rong Rong. Since its completion in June 2008, Artfarm has already been featured in numerous art and architecture-related publications, including articles in the December 2008 issue of Domus as well as in Bauwelt 15.09. 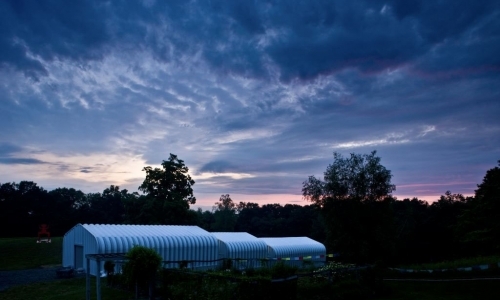 For their design of ArtFarm, HHF Architects was awarded the Gold Medal for the annual “Best Architects 10” prize in 2009.